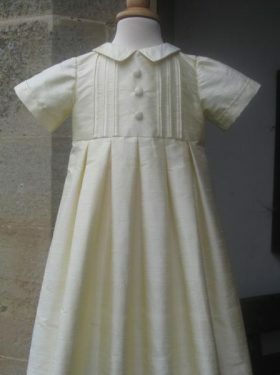 New for 2010, this beautiful cotton lawn christening gown is ideal for the summer months. 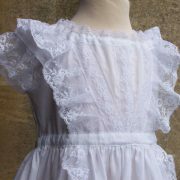 Based on a Victorian style this gown boasts a full skirt which contains layers and layers of pintucks, separated by pure cotton insert lace. 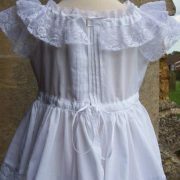 The front panel is separated from the skirt with robings made of gathered cotton lace. 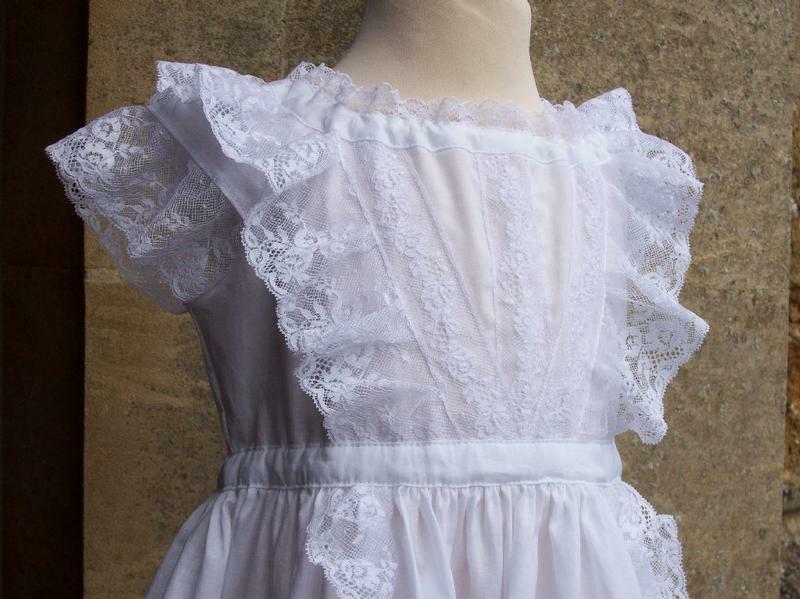 These robings continue up the bodice and over the shoulders to form delicate lace sleeves. 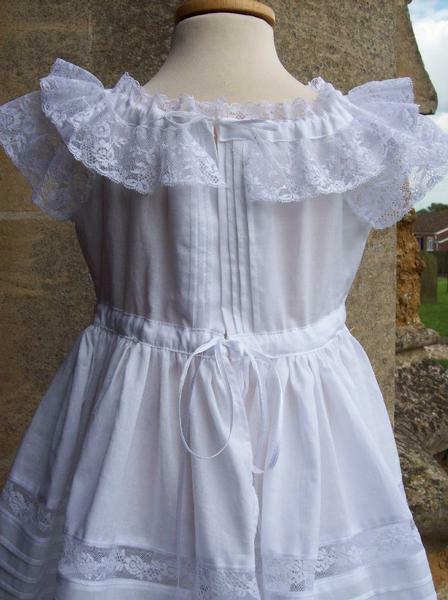 the bodice is heavily decorated with lace and the back has pintuck detail. 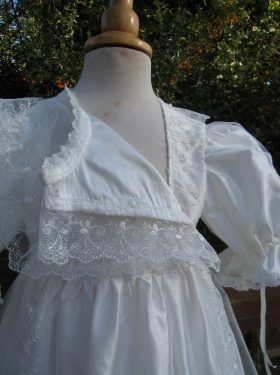 Typical of gowns of the Victorian era, this gown fastens with drawstrings around the neckline and waist, ensuring a perfect fit on your baby. 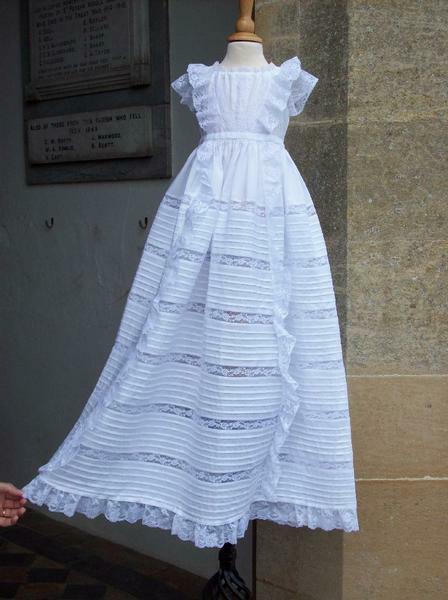 The Eleonora Gown is a delightful gown that shows Little Doves’ ability to create classic gowns with a hint of Victorian tradition. 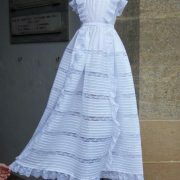 It measures 40 inches in length and is available in white cotton lawn only. A selection of different cotton laces are available for you to choose from. 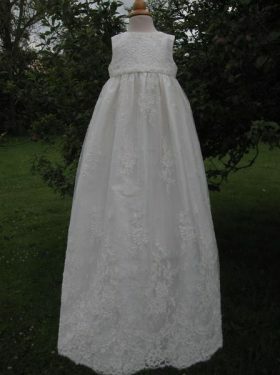 Please contact us if you require samples. 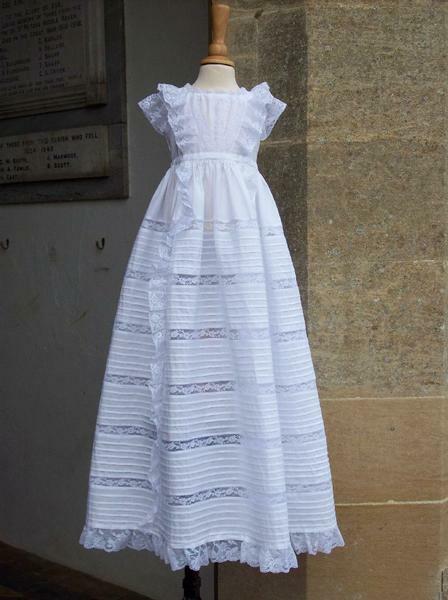 This gown will be made to fit your baby. 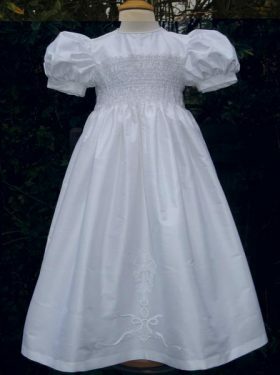 Details of your baby's measurements will be taken after your booking is confirmed to ensure a perfect fit. 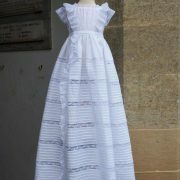 All Eleonora Christening Gown accessories are made to match the Christening Gown using the same cotton fabric and matching cotton lace trim.